A lighthearted talk on a hard science topics with smart and funny people. Let’s Talk: Physics will dive deep into the building blocks of the Universe and try not to giggle about Super G-Strings. Alternate histories that explore what the world would look like if a particular horror had been averted can be a way of resisting the narrative that slavery, genocide, colonialism, sexism, and other social evils are inevitable steps on the road to human progress. What are our favorite alternate histories (and alternate presents) that look at better worlds, and how can we use the format to inspire people to hope–and action–in uncertain times? Since 1976, NASA has featured an average of 50 technologies each year in the annual publication. Of these 1000 , what has changed lives daily? What can we expect in the future? On the advice of artist John Tenniel, Lewis Carroll dropped an entire chapter from Through The Looking Glass. That chapter was almost lost to history until a galley turned up in a Sotheby’s auction. These days, writers have a lot more options for their missing scenes, including sharing them as promotional freebies on their websites or including them in newsletters or crowdfunding platforms. Can scenes that ultimately didn’t strengthen the work still merit sharing with readers? What makes a missing scene a good candidate for sharing with readers vs. consignment to the recycling bin of history? NASA is finally ready to make humanity’s dream of sending people to Mars a reality. What challenges need to be overcome, and what is ready to go! I turned in the final copy-edited manuscript of Arabella the Traitor of Mars on Boxing Day. This book brings Arabella’s adventures to a close (she’s done more than enough damage to her timeline! ), and my next novel project will be something completely different. It’s been quite an adventure and I’m happy and grateful to Tor for giving Arabella and her story a chance! My big publication in 2017 was the novel Arabella and the Battle of Venus, sequel to the Andre Norton Award winning Arabella of Mars. I also published short story “Command and Control” in Infinity Wars, edited by Jonathan Strahan, and novelette “Under the Arch” in Mississippi Roll, edited by George R. R. Martin. 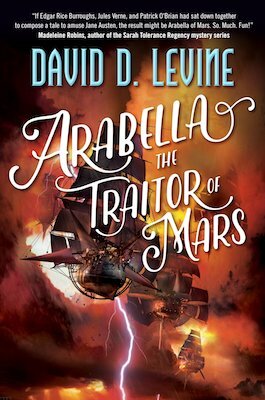 The Arabella trilogy will conclude with Arabella the Traitor of Mars, coming in July 2018. Announcing The Release Of Arabella And The Battle Of Venus! My second novel, Arabella and the Battle of Venus, sequel to the Andre Norton Award winning Arabella of Mars, comes out this week! The official release date is July 18, but I have seen copies in two bookstores already. You can buy it from Powell’s, University Book Store, Barnes & Noble, iBooks, Kobo, Your Local Independent Book Store, or Amazon. The ebook of Arabella and the Battle of Venus should release simultaneously with the hardback, from all the major ebook vendors, without DRM. I haven’t seen any sign of the audiobook yet, but for the previous book it followed the hardback release by a few weeks. If any of these events is local to you, please come if you can. There will be music, costumes, and giveaways! Come in costume! Tell your friends! 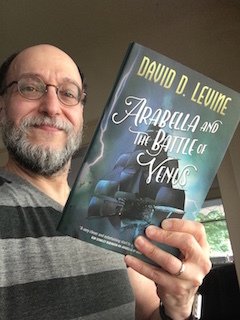 From the publisher: The thrilling adventures of Arabella Ashby continue in Arabella and the Battle of Venus, the second book in Hugo-winning author David D. Levine’s swashbuckling sci-fi, alternate history series! You should buy the book, of course. Buying it on the release date is helpful but not necessary. If you can’t buy it, borrow it from the library. If you can’t find it at your local library or bookseller, ask them to carry the book. Also, it’s extremely helpful if you post a review on Goodreads, Amazon, your own blog, or anywhere else people might see it. It’s okay if you don’t like the book! Even a negative review can be helpful if you say why you didn’t like it. (Reviewer: “I hated this book! It has Martians and airships and girls dressing as boys! Yuck!” Reader: “Cool, that’s just what I love!”) And please mention the book to your friends online and off. Wherever and in whatever format you like to buy books. I get the same money wherever you buy it, and I don’t care whether you read it on paper or on screen. There are benefits to me if you buy it on Amazon, but personally I’d prefer it if you would support your local independent book store. Or you could get it from Powell’s, which is my local independent book store. You can even order a signed edition from Powell’s, which I will sign for you at my reading on July 18. How is Arabella of Mars doing? Very well, thank you! It won the Andre Norton Award for Young Adult Science Fiction and Fantasy and was nominated for the Oregon Book Award, Locus Award, and Compton Crook Award. Sales have been quite satisfactory, and the mass market paperback was released on May 30. Will there be a book 3? Yes! I just submitted the first draft last week, and it should be out about the same time next year. This third book, which is currently titled Arabella and the Winds of Phobos but might be called Arabella the Traitor of Mars, concludes Arabella’s story, but there are more tales which could be told about other people in other times and places of Arabella’s world. As you know, the last year has been an extremely difficult one for me. But I am doing better, and Arabella’s success has been a great comfort. I thank all of you for your support of me and of the book. 07-17-2017 at 02:36 PM Comments Off on Announcing The Release Of Arabella And The Battle Of Venus! I have finally gotten around to updating the Upcoming Appearances page on my website, and boy howdy do I have a lot of them! With the release of Arabella and the Battle of Venus coming on July 18, I will be doing readings in Portland, Seattle, and San Francisco that week. Come and hear a new song, get new swag, hear a new reading, and see the same old writer in the same old costume! Immediately after that I will be off to Europe for the Writing Excuses cruise and Worldcon. In November there’s World Fantasy, Wordstock, SFWA readings in Seattle and Portland, and OryCon, and in December there’s Writers with Drinks in San Francisco. It’s going to be a busy year. And that isn’t counting square dances, travel to visit family and friends, and non-public events! I hope to see you at one or more of the following events. Click the links for more details. July 15, 2017: Words and Pictures Festival, Vancouver, Washington. July 28 – August 5, 2017: The 2017 Writing Excuses Workshop and Retreat, MSC Fantasia. August 9-13, 2017: Worldcon 75, Helsinki, Finland. November 2-5, 2017: World Fantasy Convention, San Antonio, Texas. November 11, 2017: Wordstock, Portland, Oregon. November 14, 2017: SFWA Pacific Northwest Reading Series, Seattle, Washington. November 16, 2017: SFWA Pacific Northwest Reading Series, Portland, Oregon. November 17-19, 2017: OryCon 39, Portland, Oregon. December 9, 2017: Writers with Drinks, San Francisco, California. It was forty years ago today — June 17, 1977 — that I attended my first science fiction convention, X-Con ’77 in Milwaukee, Wisconsin. It was Milwaukee’s first science fiction convention, put on by the Milwaukee Area Association of Science Fiction and Fantasy Fans (MA2OSF3), and I found out about it only because my father, who was in charge of the computer lab at the university, saw someone running off flyers for the convention on one of the printers there and brought one home for me. I was a sophomore in high school. At the convention I got autographs from guests of honor Gordon R. Dickson and Robert Lynn Aspirin (he was the Fan GoH, not yet a pro writer, and famous mostly for founding the Dorsal Irregulars; my badge bears the note “not a Dorsal Irregular” because I was wearing a black turtleneck) and spent most of the time playing the new-to-me game of D&D. A couple of weeks later, I got a letter from the organizers inviting me to attend a MA2OSF3 meeting. I attended, I had a good time, and I started hanging out with them. I went to a couple more conventions that year, in Chicago and Champaign-Urbana, and several more the next, including Wiscon 2. 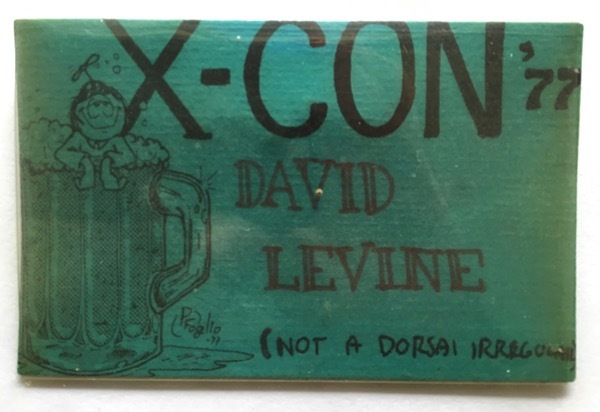 When X-Con ’78 rolled around the following June I was on the committee, as co-head of Gaming. Since then I’ve attended four or five cons a year. I have saved every convention badge, though I haven’t counted them lately — it probably totals something in the vicinity of 150 cons. I have been active in science fiction clubs: MA2OSF3 in Milwaukee, StLSFS in St. Louis, and PorSFiS in Portland. I have been a conrunner, fanzine editor, costumer, artist, gamer, and even dealer. I’m still involved in con running, maintaining the website and mailing lists for Oregon Science Fiction Conventions Inc., but most of my fan-related time now comes from attending conventions as a pro. Thanks to Fandom I have traveled the world, made hundreds of fabulous friends and lovers, and met my spouse. I’ve laughed, I’ve cried, I’ve eaten far too many meals in hotel coffee shops. Fandom has been the spine upon which much of my life has been hung, and it is a marvel to me that I now find myself somewhere near the top of a field of which I have been a reader and fan for my entire life. Many of the people reading this have been part of this journey, and continue to be part of it. I’d like to thank you from the bottom of my heart for being there for me, and I hope I’ve been there for you as well. 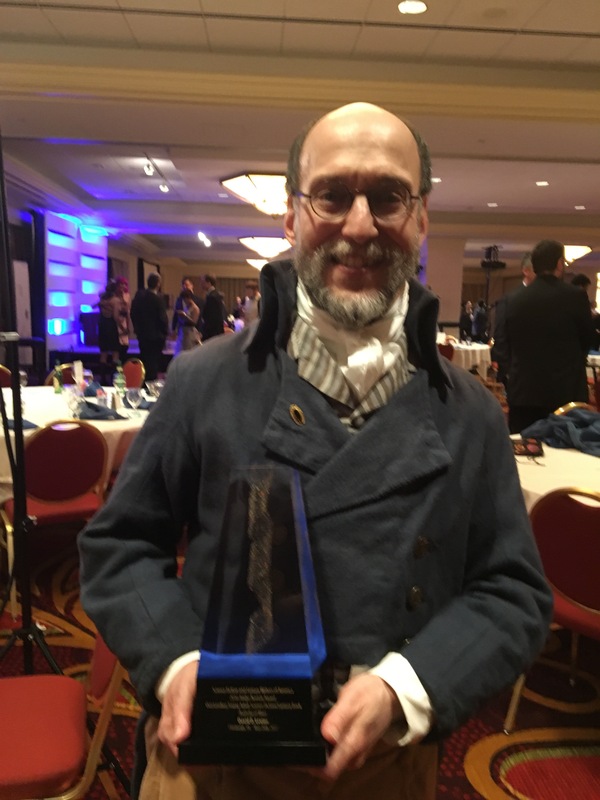 I am pleased and amazed to report that Arabella of Mars, my first novel, has won the Andre Norton Award for Young Adult Science Fiction and Fantasy, presented by SFWA as part of the annual Nebula Awards. (Complete list of Nebula winners and nominees.) Previous winners of this award include J. K. Rowling, Terry Pratchett, Cat Valente, and Nalo Hopkinson. 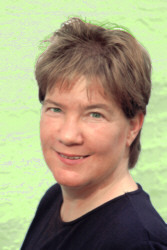 The award was presented by last year’s winner Fran Wilde. To say that I’m overwhelmed would be an understatement. I barely emerged from my room yesterday and I’m still stunned. Congratulations have been pouring in via every available channel; I have not been able to reply to most of them but please know that I am very appreciative. I’d like to thank everyone who read, nominated, and voted for Arabella for this award, whose name honors one of our finest writers, and acknowledge all the other, very worthy, nominees. Special thanks to Moshe Feder, who acquired it; Christopher Morgan, who edited it; Patrick Nielsen Hayden, who provided invaluable support; Paul Lucas, my agent; copyeditor extraordinaire Deanna Hoak; Mary Robinette Kowal, my invaluable guide to all things Regency and navigating the dangerous shoals of publication; Janna Silverstein, my greatest adviser and cheerleader, and most of all my late wife Kate Yule, who never stopped believing in me. Pittsburgh was her home town and she would have been so proud and happy to share this moment. I wish she could be here. I still love you, snookie. After I sat down Seanan McGuire let me cry on her shoulder for about five minutes. Arabella of Mars is currently available in hardcover, ebook, and audiobook; the mass market paperback will be released on May 30. 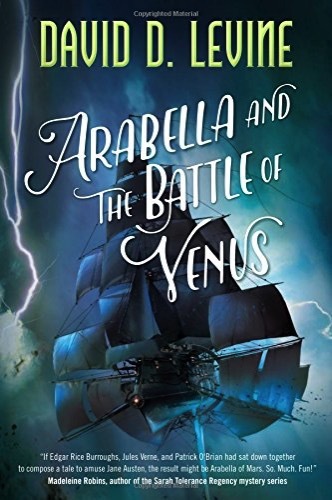 Sequel Arabella and the Battle of Venus will be released on July 18. How tall is a horse? Seriously, think about it. How tall is a horse? The answer — specifically, the units of measure you use — says a lot about you, and about your culture, and my goal here today is to get you thinking about how units of measure can be used as a tool for worldbuilding and character development in fiction. I bet a lot of you would state your answer in terms of feet and inches. Just from knowing that about you, I can tell that you’re either a present-day American, or a member of certain European and European-derived cultures from the middle ages to the local introduction of the metric system. But during the earlier part of that period you might have thought in feet and barleycorns rather than inches, or in fractional feet — five and a half feet rather than five-foot-six. At other times and places the larger unit would be the yard rather than the foot. Also, you might have to specify whose feet and inches you are using, as they varied from city to city or which monarch you followed. Napoleon’s height, for example, was five-foot-two in French feet and inches, which is part of the reason the English thought he was short. But that was actually five-foot-seven in English units… taller than the average Frenchman of the time. Whether in dialog or in a character’s internal voice, a character’s consideration and specification of exactly which units to use can do a lot to define a character’s background and priorities as well as the time and place. If you state your answer in meters and centimeters, I can tell that you’re either a member of certain cultures following the French Revolution, or an American to whom precision and international standards matter more than following the crowd. This offers a clue to your personality, profession, and priorities as well as the time and place in which you exist — it’s a character as well as a worldbuilding item. To completely understand what this choice means you’ll need more contextual information, but even knowing that the choice has been made gives the reader important hints about the character. Many people will state their answer in hands, or hands and inches, and know that it is measured to the withers, or top of the shoulders. This tells me that you are either an equestrian in a modern English-speaking country, or perhaps a resident of the middle ages or ancient Egypt. Again, knowing the context is necessary to understand exactly what this choice says about you. If your answer is “hands or inches, depending on whether it is a full-sized horse or a pony” that tells me still more about you. Many other units of measure have been used at different times and places, or may be used in future or fictional cultures. An answer stated in cubits, spans, paces, or fathoms suggests that you are a member of certain earlier human cultures. Answers in dhanu, chi, or cabda specify India, China, and the Arabic world. However, if you use units unfamiliar to the reader, you may have to include other clues; if the character thinks of a person as being six chi tall, the reader will not immediately know whether that’s particularly tall, particularly short, or of average size (and, furthermore, average human height changes over the course of history). Getting even further afield, answers stated in simile or metaphor tell us still more about the character and their culture. “Tall as a church-steeple” or “thin as a credit card” or “wide as the Grand Canal of Mars” provide immediate insight into who the character is, what’s important to them, and what their economic status is as well as where and when the story takes place. Entirely made-up units can also be used, and these can tell us even more. “Imperial thornogs” implies an empire, and furthermore an empire in which an earlier, non-Imperial thornog existed. If the thornog is divided into ten squant, that suggests a decimal and hence more scientific culture, but if it’s divided into six or twelve squant that suggests a more agrarian one. If it’s divided into seven or eleven squant, that implies a non-human, or at least decidedly non-Western, culture. But, again, you’ll have to provide additional information to let the reader know whether a horse that’s five thornog and two squant high, measured at the antennae, is a particularly fine specimen or a runt. When carefully handled, describing an object in fictional units can inform the reader about the object, the observer, and the setting in just a few words. Every time a character sees anything, they will seek to comprehend it in terms that make sense to them. Conveying those terms to the reader helps the reader understand the character and their culture, and can be an important tool for both worldbuilding and character… and even plot. Football, after all, is a game of inches. 05-19-2017 at 07:05 AM Comments Off on How tall is a horse? Help us raise funds for the American Bookbinders Museum by sampling a cocktail concocted just for this event! Each author will read a selection of their work, followed by Q&A with the audience moderated by author Terry Bisson. Books for sale courtesy of Borderlands Books – please feel free to bring your own books from home. The American Bookbinders Museum’s entrance is located at 366 Clementina Alley, off 5th Street, between Howard and Folsom. Street parking is free; garages are located at 5th & Mission, and 3rd & Folsom. The closest BART station is Powell Street – just turn down 5th Street, cross Mission and Howard, and turn left onto Clementina. NOTE: there is NO access to Clementina from 4th Street due to construction.